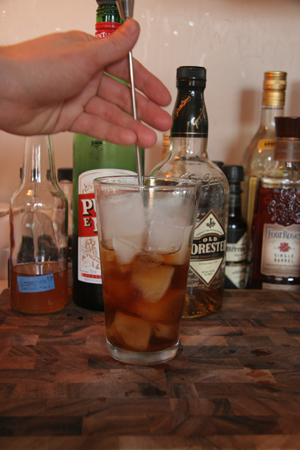 This entry was posted on January 13, 2008 at 5:37 pm	and is filed under Cocktail Techniques. You can follow any responses to this entry through the RSS 2.0 feed. You can leave a response, or trackback from your own site. Hmmm… Those pictures are really small! I’m interested in the Japanese technique, but have a hard time imagining it with the small pictures and description. Any chance of a video? Or even a series of pictures, like they have on chop stick wrappers? Yes, you’re right. I’ve made the pictures bigger and expanded the explanation a bit. It’s still not a thorough explanation, and for that I’m sorry. When I get some time this week, I’ll try and post some pictures to better describe what I mean. Funny you mention chop sticks — in Japan, when they’re training to use this technique, they’ll use chop sticks in an empty mixing glass to practice the back-and-forth movement between the ring finger and middle finger. Interesting! Yes, the pictures are much better larger, thanks! Hey Alex is this your blog? If so have you tried double stirring with one hand? I saw Phil playing around with it and tried it myself last night. It’s challenging but totally do-able to stir two drinks with one hand using the Japanese type method. 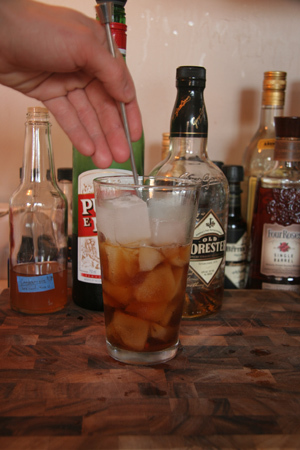 So, not that I haven’t seen an amazing variety of mixing techniques among American bartenders, but now I’m wondering about what you’re calling the American technique. I do use my index and middle finger to manipulate the spoon, but personally have almost no wrist action at all. My hand moves very slightly side to side. Arm isn’t involved at all that I can tell, as it almost entirely finger manipulation of the spoon. The red tip stays nearly stationary, with the spoon moving in a circle beneath it. Pivot point, as you say. Chopsticks, indeed. Now that I think about it, using chopsticks regularly since I was very young probably does have something to do with the way I use the spoon to stir. Ah well, hopefully, you’ll be in New Orleans in July, and you can show me! wonderful web page…Hi right honestly there, You need completed an excellent career. I will undoubtedly reddit that along with profassionelly propose to my own, personal buddys. I consider they’ll turned out to be benefited employing this particular great site…. Enjoying the commentary on this site. Keep it up. 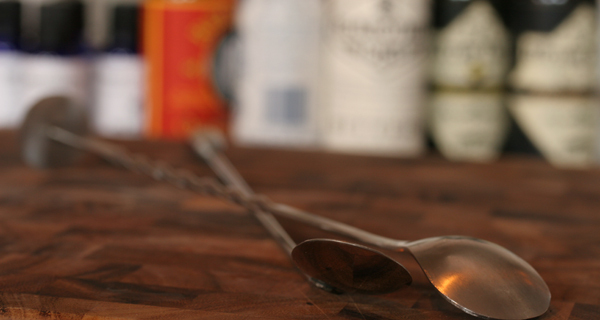 Re: the Japanese stirring method–I can vouch for this one. 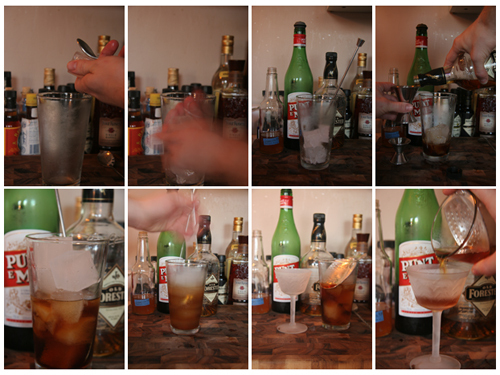 In fact, for Japanese cocktail methodology in general; it’s fascinating stuff. I’m studying Japanese technique right now in Tokyo, and it’s insane. They are absolutely obsessive, and there’s a right way and a wrong way for everything. I’ve spent months just practicing stirring water in a pitcher and shaking rice in cobbler shakers. They’re not quite as creative as the American bars–the flipside to that “right way” and “wrong way” is that they don’t like to deviate from established recipes–but as far as technique goes, even your run-of-the-mill Japanese bartender is usually really impresive. This is an extremely interesting article. Thanks! I am trying to practice this Japanese technique for home bar use. If you (or anyone) could expand on the mechanics I would great appreciate it. Hello. I’m a practicing artist in need of some great portfolio shots. I have approx. 24 flat, matted pieces of artwork no larger than 1188#243;by14&ó that I need photographed. If this is something that you would consider doing and the price was right I would have more work for you in the future. Great post; I love the level of detail on stirring technique. I would wager lots of us use the Japanese technique and simply didn’t know it was called that. 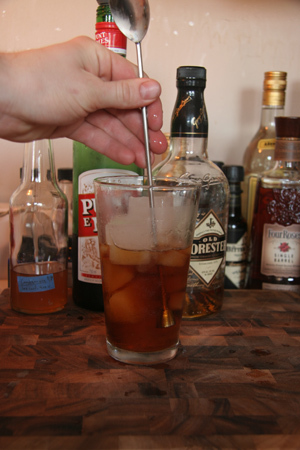 It is delicately quiet and chills the drink fairly quickly too. u make some goood points and some bad points. european technique is a joke and i think an self respecting bartender knows it. american stir??? stil yet to s an american stir. if its not premixed on a postmix gun they generaly dont do it. in a tip based culture where u get a tip based on the fact that u giv sum1 a drink rather than earning ur tip for the quality of ur drink they dont worry bout a stir coz in the time u can stir one drink u can make 8 cosmos off the big asss “cocktail” post mix gun, basic economics good to hear the respect for the japanese though, if u have ever seen a trained professional japanese bartender make a cocktail u will understand the pant moistening subtlety they have. one approach u have missed is the fact that a “stired drink” dosnt nessecarily need to be stired. there is nothing wrong with making ur “stired drink” first, trowning in the ice, doing the rest of ur drinks in the meen time and alowing the ice to dilute and chill the drink without the need to stir it. most the time if u take this approach by the time u finish the rest of ur order, by the time u come back to the stired drink it is close to perfection, if not give it quick stir ad its perfection. do me a favour and try it next time ur under the pupm and u will realize the efficiency of this method. dig the site, first time i found it but will deff check it out in the future. With the many great wonders found in the mind of any traveler. for individual guests who want excitement and entertainment.